Every dog needs a tag to put on their collar with your phone number. 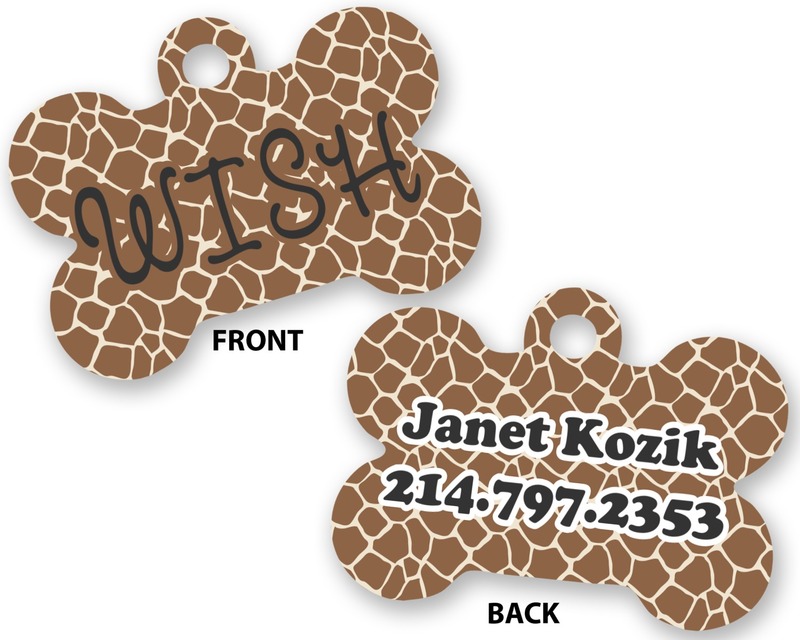 So why not give your furry friend a little extra bling with a personalized dog bone shaped tag! This tag is a typical size of 1.5" x 1.125" and is shaped like a bone. This adorable piece of bling is made of sturdy aluminum. It comes with a thick metal clasp you can squeeze closed with pliers. 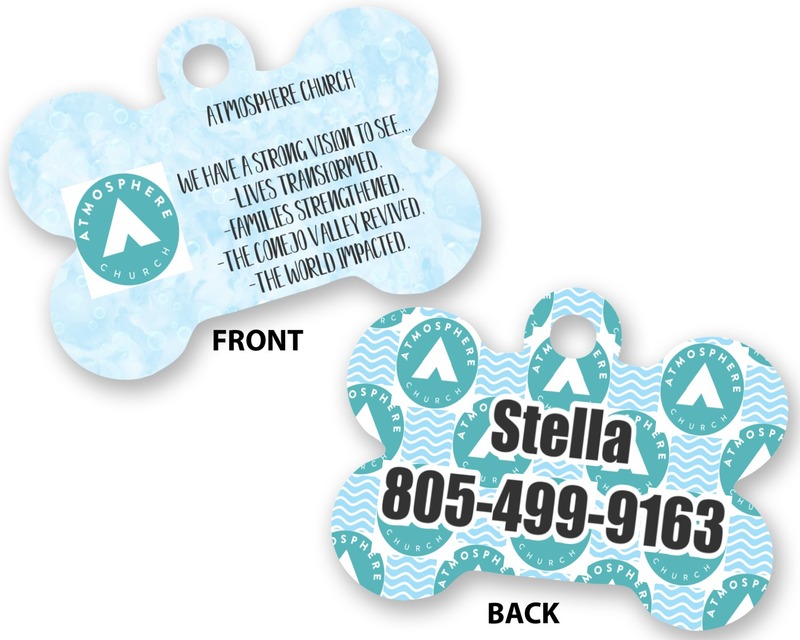 Your dog's name goes on the front of the tag and your phone number will be printed on the back. 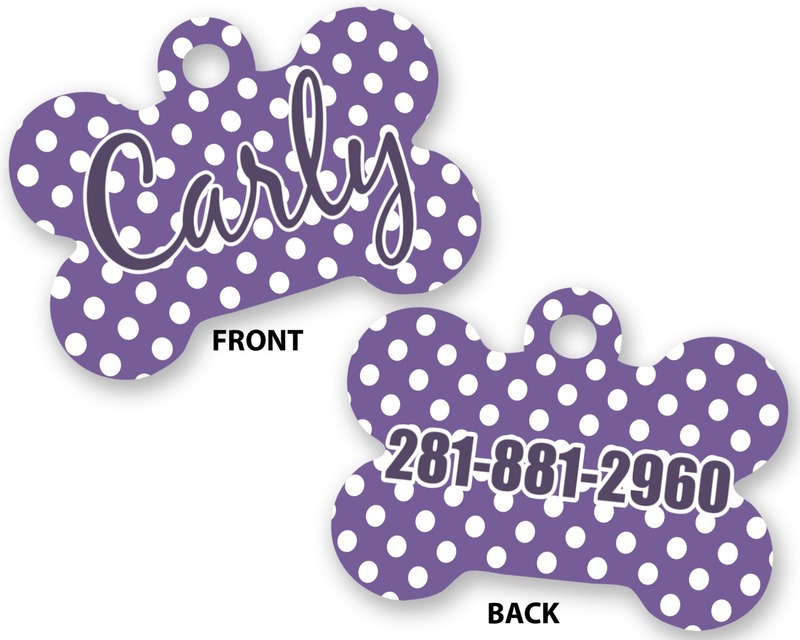 Make sure to have fun designing each side to give your pet a little extra bling! Personalizing was never easier than with our design center. As the customer, YOU get to make all of the decisions and changes! 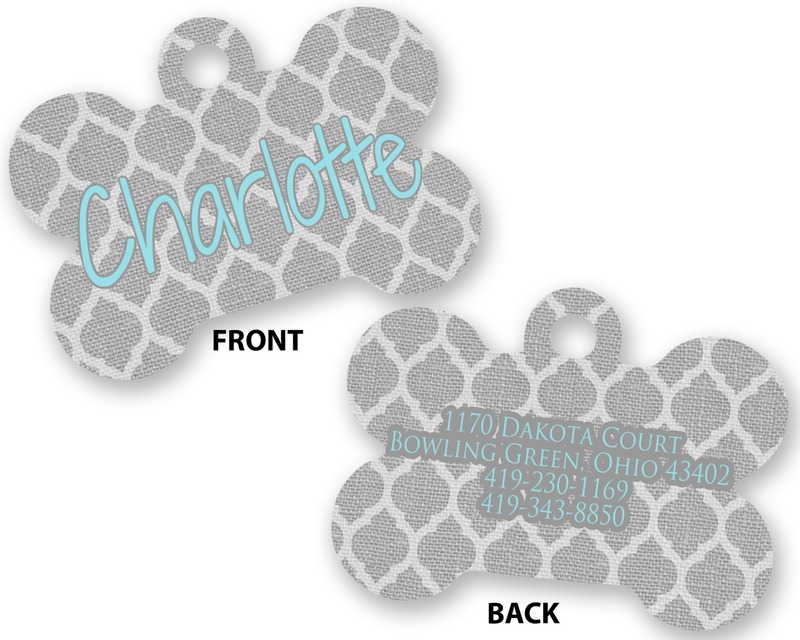 Choose a fun pattern to go with your sweet puppy's name and even change the font! Make sure the tag ends up fitting your dogs personality. If you ever need assistance in our design center, be sure to give us a call! You may also need a collar or leash for your pet. Be sure to check out our Pet Accessories section before you leave! Cute dog tag! Thank you! 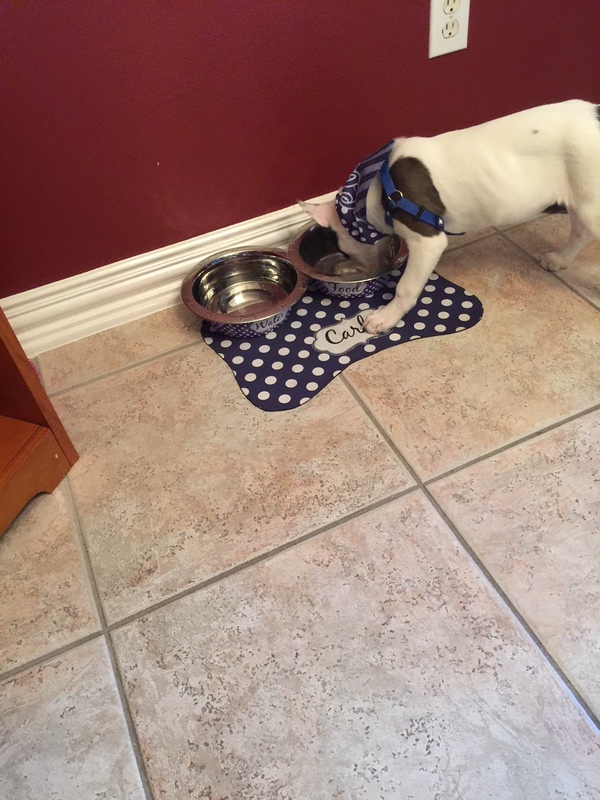 I got this along with the pet bowls, mat, bandana and puppy treat jars to spoil our new "grand" puppy. I give the tag 4 stars because Carly was able to put her teeth marks into the tag because it is made of aluminum. It still looks great on her!